The 63rd Cannes Film Festival opens with Ridley Scott’s Robin Hood. 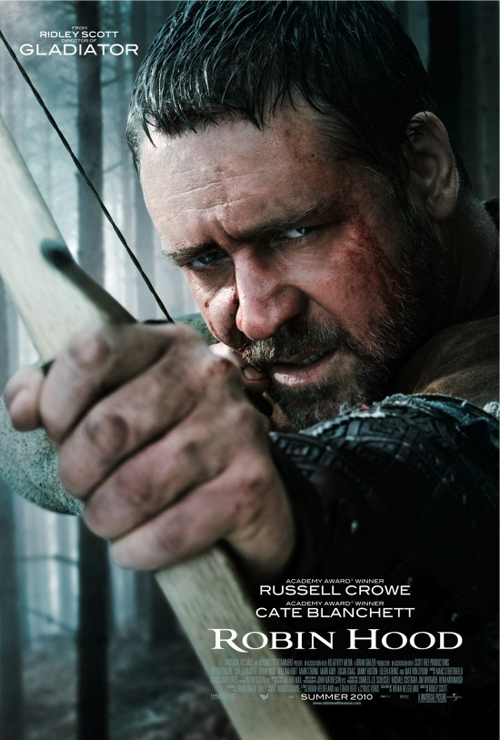 Russell Crowe and Cate Blanchett (and Max Von Sydow, Lea Seydoux, William Hurt) are the leading stars of the epic film to be screened on Wednesday May 12th 2010. But the blockbuster movie is not in the competition. There are a total of 46 films in the 63nd Cannes Film Festival official selection in the four main categories: Competition, Un Certain Regard, Out of Competition and Special Screenings (including the Midnight Screenings). There are six more films to be included before the opening night.